The yearly Aegina Fistiki Fest is all about the small and green culinary nut named pistachio. During these four days of festivities in September, the port of Aegina transforms itself to accommodate culinary degustations and competitions, concerts and theatrical performances with popular artists, as well as various exhibitions involving the famous local nut. 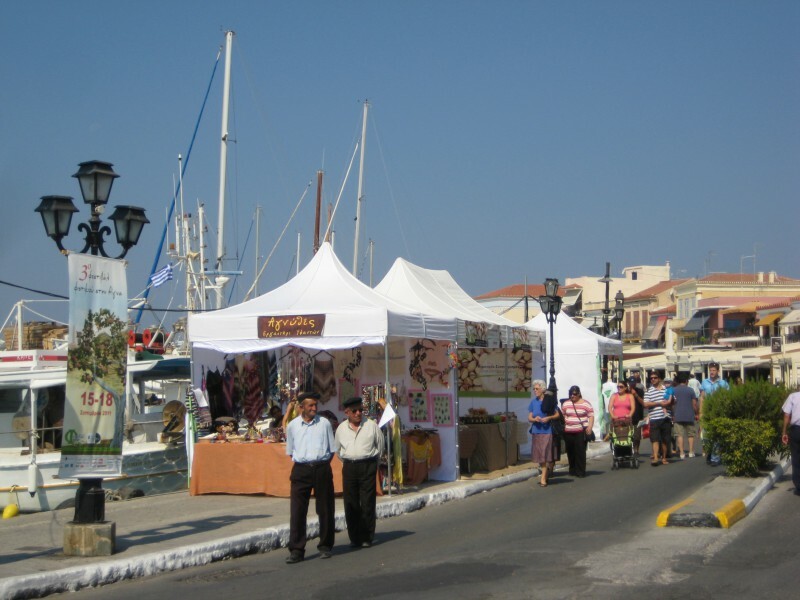 The Aegina Fistiki Fest gathers yearly around 30,000 people. Nowadays, the most characteristic crop of Aegina is definitely the pistachio. Pistachio trees were imported in the early 20th century and now inhabit most of the agricultural area of the beautiful Saronic island of Aegina. The climate and soil of the island proved to be ideal for pistachio trees and with the time the culture supported the local economy of the island. 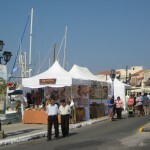 That is why, since three years, Aegina has started to celebrate the pistachio nut with Fistiki Fest. The diverse exhibitors at Fistiki Fest will delight you with with a wide palette of delicacies all featuring the pistachio nut in some form. If you get the chance to pass by this festival, do not miss the green pistachio liquor; it is tasty and refreshing at the same time. But that’s not all, exhibitors also include local honey of exceptional taste, handmade ceramic pottery in many different colors and patterns, and handmade jewelery. The festivities go on all whole day long, and include concerts or other kinds of entertainment during the evening. Also noteworthy is the pistachio dessert competition, which takes place the last day of the festival, usually a Sunday. For that event, a jury composed of chefs and connoisseurs from the Hellenic Chef’s Association assemble in order to taste various traditional or eccentric creations all including pistachio nuts. Watch the video above or photo gallery below and catch a glimpse at a member of the jury commenting on one of the desserts. The 5th Fistiki Fest will be held at the seafront of Aegina from Thursday 19 until Sunday 22 September 2013. Do not miss it! Looking for hotels in Aegina during the Fistiki Fest? Check on Hellas Holiday for the best deals!